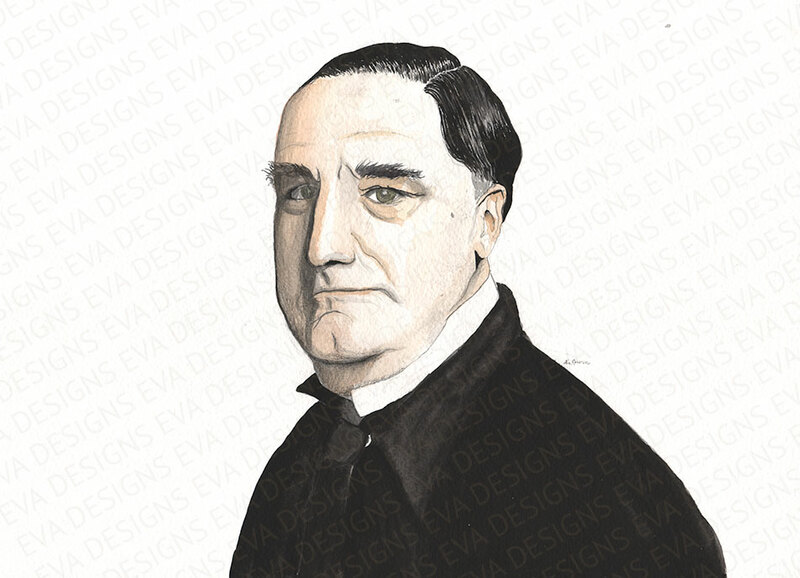 A sure fire way to add bold character to your living space is with a large print. 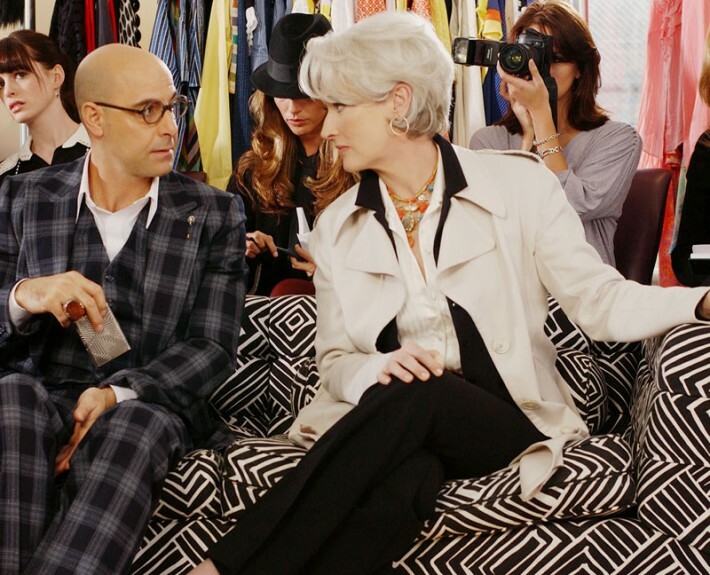 Large prints are visually bold and interesting and can give your home as much character as Meryl herself. The Melinda fabric print by Alan Campbell is seen above in the sofa on which Miranda Priestly sits upon in “Devil Wears Prada” as she determines the next branch of fashion future. 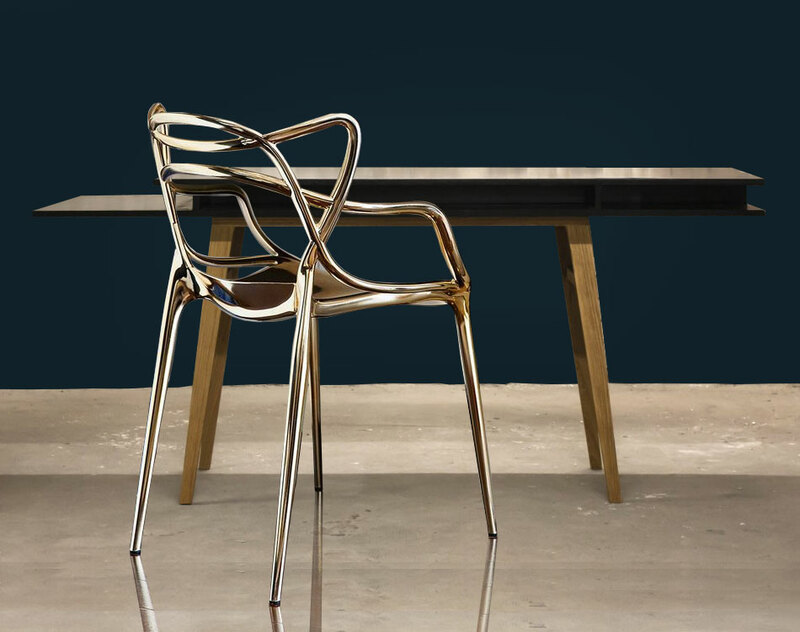 The industrial looking aluminum chairs by Strawser & Smith are a sturdy welcome addition to any transitional space. 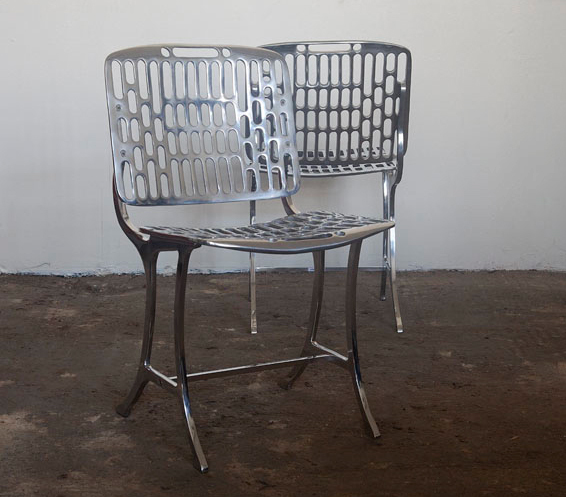 The wider girth of these chairs look quite comfortable for an all metal construction. 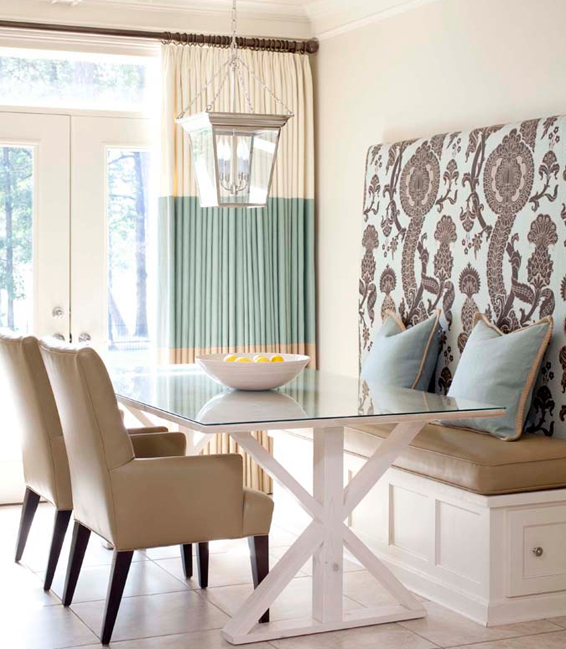 The height and visual interest in the banquette backing in a casual dining spot anchors and sets the stage for this serene pale turquoise kitchen. 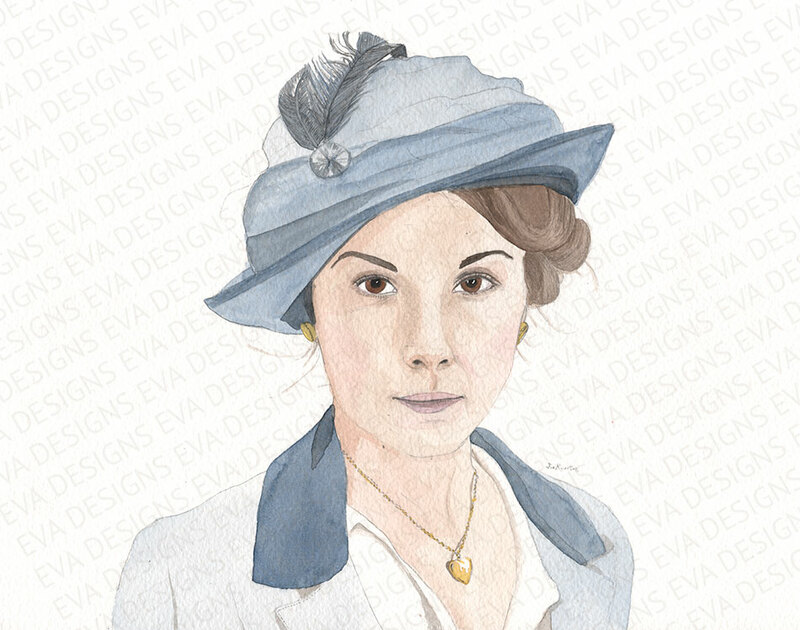 Tobi Fairley used this stunning Schumacher print in such a fantastic way. Just as an upholstered headboard acts as a focal point in the bedroom, this fabric panel seems inviting and just gorgeous. See more of this kitchen in this article by At Home In Arkansas. Architectural Digest recently wrote an article featuring the stunning home of Sharon and Ozzy Osbourne in Hidden Hills, California. The light and airy feel of their living room is light-heated and calming. The one thing that stood out the most to me was the eye-catching profiles of the Martyn Lawrence-Bullard designed wing chairs. They act as an anchor in the room, deepening the tone and punctuating the light washes of colour. What do you like best about the above photo? The calming sea-blue and cream tones? The neoclassic shapes of the bench and chair? 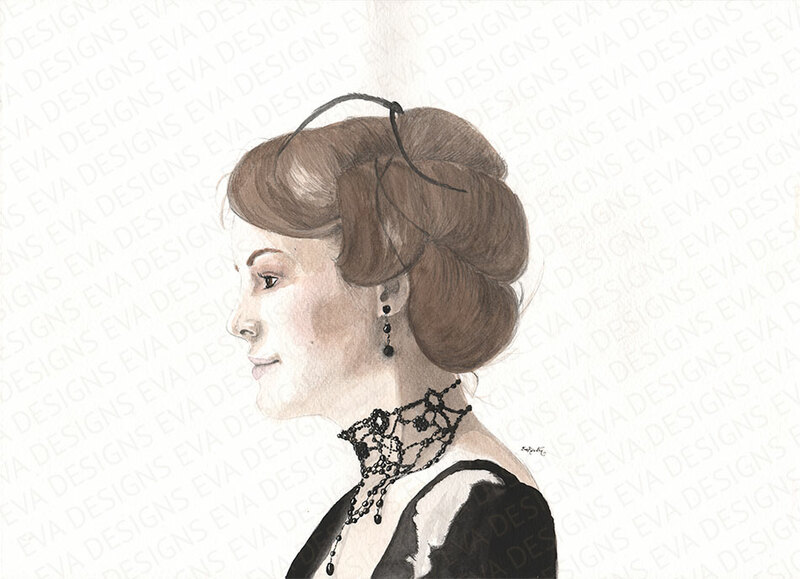 I have my eyes on the Alexandra Side Chair. These two accent chairs are so similar, both in eye-catching jewel blues, both with pewter nailheads and dark ebony legs. The Eddie Accent Chair on the right is colored a pretty peacock on top grain leather available from Z Gallerie for $1’199.00. 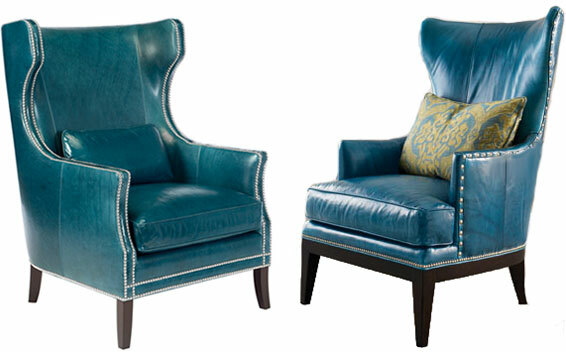 The Donovan Wing Chair on the left is a blue turquoise color, and is available from Horchow for $1822.90. Both would be a great punch of color in an other wise neutral palate of taupes and yellows. 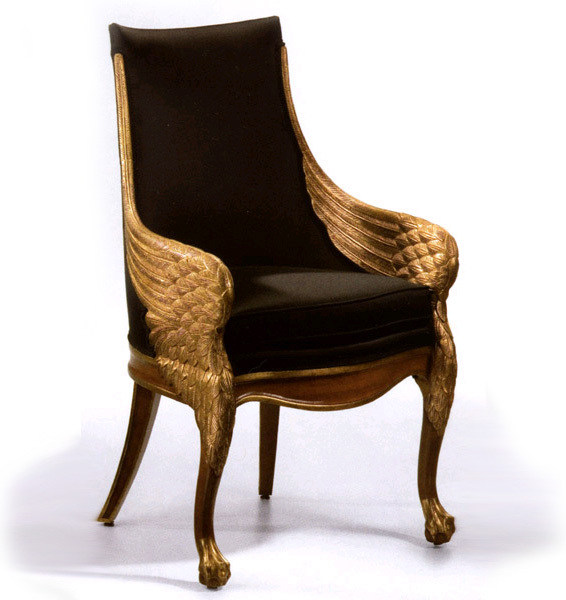 This may not be what you think of when hearing the word wingchair, but it just could replace your preconceived notion of the classic chair. The wings are there alright, just in a different place, and much more luxurious. 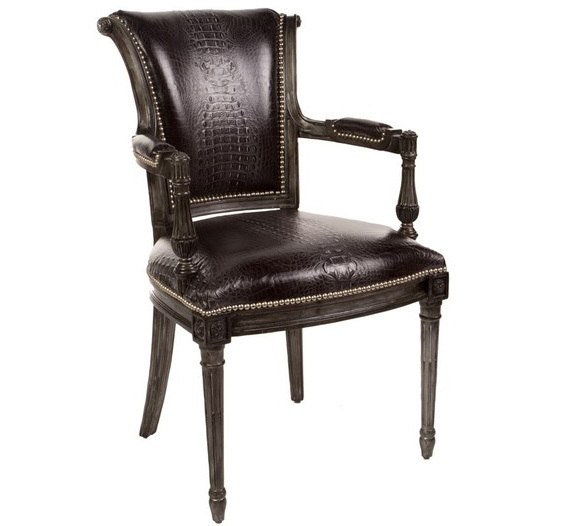 Imported from Italy, the Empire Wing Chair is gilded in an antique gold leaf on beech wood with black muslin upholstery. This “croc” embossed leather chair by Nyla Simone is a custom chair that would be perfectly suitable for your hall desk space, foyer or dining chair! Nickel nailheads contrast very nicely with the deep espresso tones of the leather and stained wood legs and arms. This chair has such a great presence! And now for some color! How seriously cute is this settee? While I am not usually a fan of the shabby chic look, a sweet furniture piece such as this could work in a variety of settings; like in a reading nook of a little girl’s room, or in a garden room where you might have your tea. 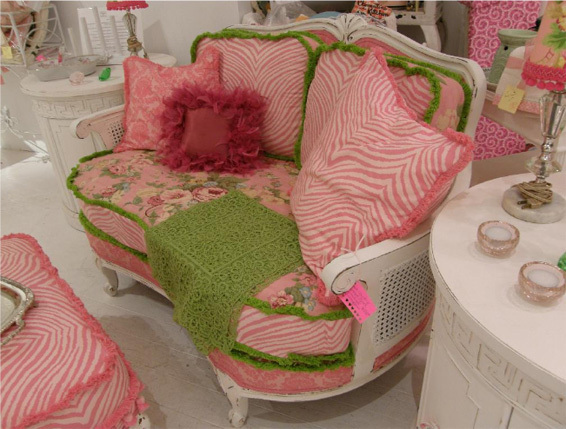 The pink floral material on the cushions is sweet with a thick verdant green fringe. 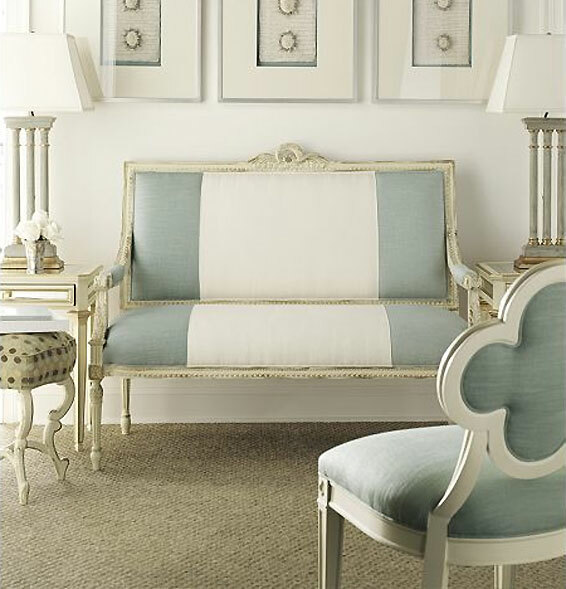 The painted and antiqued white settee has white canning on the back.